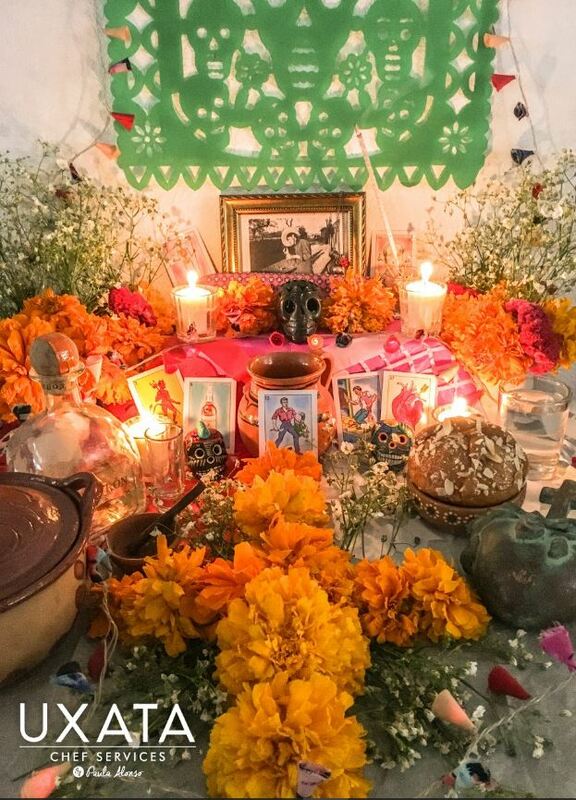 Each year, between November 1st and 2nd, Mexicans get closer to the pantheons of our loved ones to decorate it with flowers, making offerings and remember the life and death duality as a magical part of existence. And in our homes, the souls of the dead visit us to live with those who still journeyed these lands. The commemoration through an altar in our homes is a time of unity and family celebration in which we prepare offerings for those who we miss most, when they come back to visit us. That is why it preparation takes a special dedication, a mixture of mourning and celebration, mocking death and rejoicing for the reunion with the souls of our deceased. Lantern or star light, so that the dead find their way to his old home. The cross of lime representing the four cardinal points. Personal objects representing the dead ones. A photo reminds us of its presence in other times. Candles and lights to light their way. A dish with salt purifying souls so that they would not be corrupted. Traditional Pan de Muerto of Mexico, showing our generosity to the dead. White flowers representing heaven, earth yellow, and purple for our mourning. Copal and incense to drive away evil spirits. Typical food that have been welcomed by our visitors. Colorful confetti, to signify the union between life and death. Chocolate or sugar skulls, representing each of our deceased relatives. Glass of water for the present souls.